The Church of Jesus Christ of Latter-day Saints first arrived in Ireland in the summer of 1840 with the arrival of Elder John Taylor of the Quorum of the Twelve Apostles in Newry. Two months later, the first congregation was established in Hillsborough with 35 members and by 1842 there were 71 members reported in Hillsborough and Crawfordsburn. In 1850, a Church unit was set up in the city of Dublin followed by others in Counties Westmeath, Offaly and Limerick. However, with the encouragement of the Church, the majority of members emigrated to the United States and it was not until the early 1900s that another branch was organised in Dublin, made up largely of German immigrants, many of whom were pork butchers. Earlier, in 1865, Charles A. Callis had been born in Dublin. 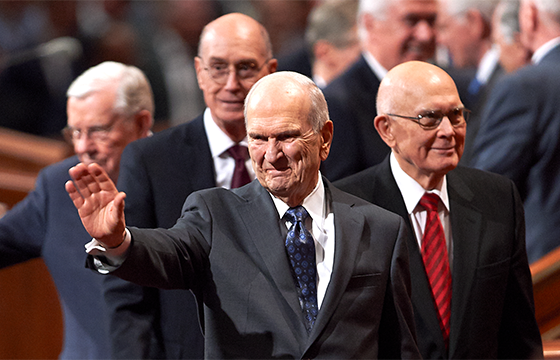 Later in his life, he became a member of the Quorum of the Twelve Apostles. Ireland is one of only six countries outside the United States where a Mormon apostle has been born. Emigration continued for the first half of the 20th century and it was not until the 1960s that the Church began to experience serious growth with an increase in membership from less than a thousand at the beginning of the decade to around four thousand at the end. Most of this development took place in Northern Ireland. Today, the Church in Northern Ireland and the Republic of Ireland has more than 8,000 members, many of whom are third or fourth generation. Hundreds of them have served (or are serving) missions in many lands across the world. The Church is now organised and well-established in congregations that can be found throughout the island.